For every teenager, prom is one of the most special occasions than any other occasion. And, a prom event certainly deserves a special attention. From a perfect prom dress to a flawless makeup, prom date to transportation, everything should be exceptional. Transportation is one crucial factor which plays a huge role in making your prom event more memorable. Unlike other vehicles, limousines are definitely fun and stylish transportation option for your prom. The fun you get to experience in a limousine is something you will always cherish. Here are the five reasons why you should choose a limo service for your prom. No other vehicle can beat limousine in terms of lavishness. Limousine is a luxurious vehicle which oozes glamour and style. Plus, limos are equipped with all the latest amenities which you and your friends can enjoy during the ride. Limousines are spacious. They are huge and can easily accommodate you and your friends making your ride a comfortable one. Hiring a limousine is not as expensive as you think. With the addition of some extra bucks to the taxi fare you would normally pay, you can experience the limo ride. And, the best part of hiring a limo is you can split the expenses with your traveling group. Limousines are always driven by professional chauffeurs. They are trained and always practice safe driving techniques to ensure you are safe all the time. Hence, you and your group can totally enjoy the ride without worrying about safety issues. Arriving in a limousine will help you create a lasting impression on your friends. So, if you looking for a grand entrance at your prom, a limo should be your ultimate choice. Limousines are fitted with many modern amenities. Features like LED TVs, stereo systems, leather seating arrangements, climate control systems and few more are common in limousines. And, hiring a limo can help you experience and enjoy these amenities. A limo ride to and from your prom can be very special. So, don’t have any second thoughts and choose a prom limo service in Phoenix of to add a touch of luxury factor to your prom event. Wedding represents the most special day of your life. Everything in your wedding is meant to be special. From wedding dress to wedding venue to transportation, everything should be at its very best. Wedding transportation is one of the exciting topics in your wedding planning. And, if you want a special entrance to your wedding, make sure to rent a party bus. Although the party bus ride can be fun, you must be aware about the different things when you hire a one. Have a look at some important party bus rental tips which can help you get the best party bus for your wedding. First things first! Prepare a budget to hire party bus suitable for your wedding theme. Make sure not to go overboard by hiring a party bus which does not come under budget. Your job doesn’t end when you hire a party bus. After hiring a party bus, you should make sure to receive a written booking confirmation. The statement must include the type of party bus you are renting, the agreed-upon rate, locations and pick-up and drop-off time, deposit amount, and other relevant details. Do not neglect this aspect when renting a party bus. Party buses require inspections and Class B drivers to keep daily logs. Check these logs, as well as insurance and license numbers on the front and back bumper of the party bus, before hiring a party bus. You never know when unexpected things can happen. So, it is best to know what to expect in unexpected situations if you have to cancel your party bus reservation. Cancellation policies vary from companies to companies. While some charge a minimum cancellation fee, some will reschedule. Each limo and party bus company has its own hourly or flat rate structure. Make sure you understand any surcharges including fuel charges, hidden fees, and associated costs before hiring a party bus. Party buses are one such vehicle which is equipped with top class amenities. 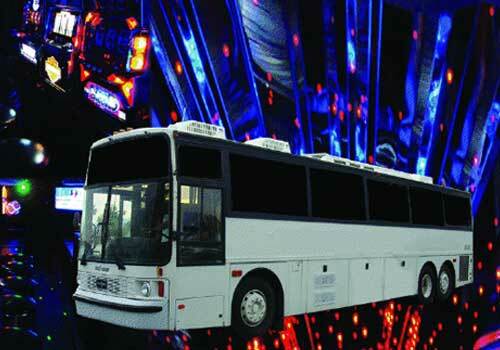 Flat screen televisions, fiber optic lighting, dancing poles, and mini bar are some amenities in party bus. Also, make sure to check out the bus in person and check if all the amenities are working just fine or not. Make sure to ask about the tipping policy. Normally, tipping amount is about 18 to 20 percent of the base price. But, sometimes tipping a chauffeur can totally depend on customer’s choice. Party buses are in high demand in wedding season. This means you have to make arrangements before a year to get a party bus. Read this list and make up your mind before you hire a party bus company for your ‘BIG’ day. Party buses are one of the best ways to give life to any party. The fun you can experience in a party bus is very unlikely to be matched in any other vehicles. And, for special occasions of your life, party bus ride is it. Although the idea of party bus can be little overwhelming, you must consider and take care of some important stuffs. Here are some essential things which you should remember to get the party bus you desire. It is best to reserve a party bus in advance. For a desired ride, make sure to reserve a month prior to your event and also confirm the reservation at least a week before the event. Each party bus company has its own hourly or flat rate fee structure. So, ask if the party bus you plan to hire charge any surcharges including fuel, and any other associated costs. Refreshments make your event fun. So, plan to add refreshments to your ride. But before that, check with the rental company about its policies for food and beverages. Most party bus companies charge a minimal cancellation fee in case of cancellation. So, to avoid such situation, be sure to ask about the cancellation policies when hiring a party bus. Party buses are very stylish vehicles with numerous amenities including LEDs, fiber optic lighting, dance poles, disco balls, and a mini bar. These amenities keep the party ambiance the whole night making your event more fun. For a smooth ride on your special occasion, check the vehicle in person. When checking out the bus, check and inspect every electronic device inside the party bus. If you plan to make several stops during your journey, you must inform the company and chauffeur beforehand. Also, it will help you cut down additional charges which the company may charge you. While some companies add a tipping amount automatically to the base price, others leave the tipping to the customer. Therefore, ask your company which tipping policy they use. Before you hire a party bus, be sure to check reviews and referrals from different sites providing party bus services. This will give you insight about the company you plan on to hire. Party buses have become one of the most popular transportation options which allow you to have great time with your friends and families. If you plan on booking a party bus, check out these basics and find the party bus that fits your event. If you want to make your special event memorable, there is simply not a better way than adding a party bus ride to your event. A party bus ride can enhance the experience of your event in many ways. Check out these advantages you can experience on your party bus ride. Luxury and party buses are almost inseparable. Because of its huge seating capacity, numerous amenities, hiring a party bus is the best option for enjoying luxury and comfort at once. Party buses are designed in such a way that it allows people to get on and off easily. They have enough space for a large crowd and can accommodate up to 25 people. This means you do not leave out any of your friends due to size restrictions. All party buses are driven by licensed and insured professional chauffeurs, so you can be rest assured throughout the whole ride. You along with your friends do not have to worry about the driving and traffic and simply enjoy the ride. With the party bus chauffeurs, you do not even have to bother about DUI. Sight- seeing is one of the main advantages of hiring a party bus. Not only it will allow you and your group to travel in style but also offers a city tour as per your choices. As party bus drivers understand the city very well, you can name any one place and your chauffeurs will you take to your designated place in no time. Whether you want to visit several bars or simply enjoy the city view, renting a party bus will allow you to have that experience. Party buses are equipped with amenities like LEDs, a bar, top-quality audio systems, strobe lights, portable disk players and many more. With these amenities, you will never have a dull moment in your entire ride. A party bus offers such a great time; you will never want your ride to end. Thus, hire a one for celebrating your special event. Night on the town limousine service is a reputable limousine and party bus service provider in Phoenix, Arizona. We have stylish party buses equipped with latest amenities to give you a luxurious experience. For details, call (602) 326-6351 to get in touch with us. Looking for things to see in Phoenix? Do not worry because there are lots of places for you to explore. As Arizona’s largest city, Phoenix has plenty of options ranging from cultural attractions to historic museums to shopping destinations. 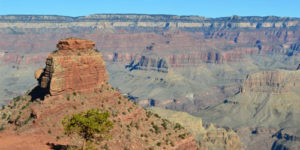 Here is a list of places you have to see when you are in Greater Phoenix, Arizona. Located in Papago Park, the 140 acred Desert Botanical Garden has world’s finest collection of more than 50,000 desert plants on display. The garden also offers specialized tours, special events, seasonal exhibits, an outdoor café, the Garden’s gift and plant shop. 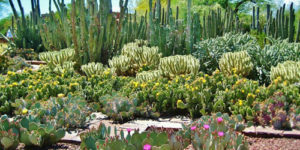 If you want to see close up life of the desert, visit Desert Botanical Garden. Musical Instrument Museum is a unique museum which exhibits several instruments from every country in the world. 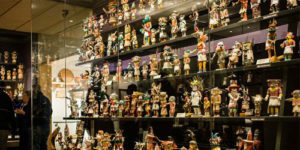 The museum features five geographical galleries and an Artist Gallery where you can find more than 10,000 instruments and objects. 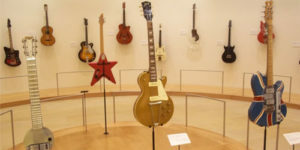 The Artist Gallery features iconic instruments from celebrities like John Lennon. Visitors can also play and hear the instruments being played at the Experience gallery. Chase Field is the home to Arizona Diamondbacks. The air conditioned facility has everything from comfortable seats to a retractable roof to a signature swimming pool. In the night, you can watch the game under the stars. 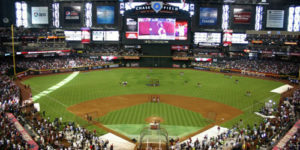 If you are diehard baseball fan, do not forget to watch a game at Chase Field. One of the finest Native American museums, Heard Museum offers a clear introduction to life and culture of Native Americans in the Southwest. 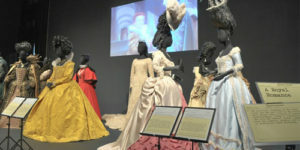 The museum has more than 35,000 artifacts in its permanent collection which is displayed in 10 exhibit galleries. If you are a history buff, do stroll around the spectacular exhibits and air conditioning housed in the Heard Museum. 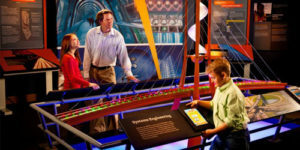 Located at Downtown Phoenix, Arizona Science Center features more than 300 practical exhibits, live demonstrations, Dorrance Planetarium and a five-story IMAX® theater. The center display films and visuals in the Dorrance Planetarium, anatomy activities, physics and construction-themed interactive displays, public art installations, and musical shows. If you are a science enthusiast, these things can keep you occupied throughout your trip. Soaring 2,704-feet high, Camelback Mountain is the highest peak in Phoenix. As the mountain offers spectacular views of Phoenix and Scottsdale, it is probably the most scenic hiking spot in the city. The mountain offers both easy and tough trails for the adventure lover. But not to be affected by the heat, hike the Camelback Mountain in the morning or later in the afternoon. Remember, you need to carry a make sure you have plenty of water and sunscreen. The 125 acred Zoo is a internationally renowned zoo which is habitat to more than1400 animals including 30 species. 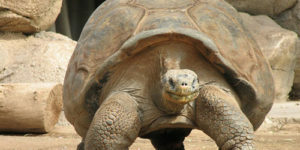 The giant Galapagos tortoises, polar bears and a baboon colony are the highlights of the zoo. If you want to enjoy wildlife with your little ones, Phoenix Zoo is the one for you. If you are in Phoenix, take your time out and explore these places and enjoy your time. Night on town Limousine Service is a party bus and limousine service provider in Phoenix, Arizona. We specialize in providing stylish Arizona party buses for various special events. To know more, call us at (602) 326-6351. Birthdays are always hard to plan especially when it is your 16th birthday. The genuine idea of having a birthday party is not just to make yourself feel special, but to make the moment memorable for all the guests. And for that, it is best to have a themed party to engage all the guests. The theme of the party should represent who you are or who you want to be. You can also base the theme around what you enjoy the most. The basic idea is making it true for you and your friends. Here are some general sixteenth birthday party ideas for you girls. Nothing would impress your young lady friends more, than a party that will give them loads of opportunities to dress up and behave like celebrities. Host this party in a place where you can easily design a ramp. You can ask your friends to dress-up like models. Create a red carpet entry and take lots of pictures. You can be the show stopper that grabs all the attention. A good classic, old fashion pool party is always a great sweet 16 party idea. This party can be a great occasion during the heat of the summer. This party may leave a mess so choose a place that is designed to host such events. Bring out the water toys and spend the day jumping off and relaxing by the pool. It is a great way for you and your friends to enjoy. Get dressed up in a pretty fairytale ball gown and wow your friends, as you enter your party. Just rent a ballroom, decorate the place, and live a fairy tale life on your sixteenth birthday. Get on your dancing shoes; book a hall for a night and throw the best dance party. Hire a band or a DJ and dance the night away to their music. You can have them play a special song for you; it’s your birthday after all. Decorate the venue with everything you want: balloons, streamers, centerpieces, flowers, and more with your favorite colors. You can have a self serving buffet to cater the guest. Just make sure to hire a few bouncers to sort out the ones that will be fighting for you. Still experimenting with makeup? Don’t worry; many women still struggle to put on a makeup correctly. You can make this party an opportunity to learn and teach your friends the art of makeup. Just hire a place and hire a professional makeup artist who can teach you and your friends the art of makeup. Hire someone for the hair as well and get all dolled up for a fun photo shoot. If you want to make it low key then just keep it simple with a classic slumber party! Invite your closest friends and stay up all night gossiping and having a great time. Enjoy watch a movie and do your nails and hairs. You can share this beautiful occasion with just the one you love and care about the most. If you are the kind of girl that loves adventure, then don’t be shy. Stay true to yourself and host a party at your favorite venue. You can host your party at the Go Karts; Skating circle, laser tags or the paintball arena, etc. A birthday party is just the occasion to have fun with the ones you love. Hence be true to whom you are and don’t shy away. Apart from the theme, reliable transportation will make your birthday a memory of a lifetime. You can go with the best transportation company in your area. Hire someone who understands your party needs and can accommodate all your requests. Make your sweet sixteen even sweeter with the right transportation. Night on The Town Limousine Service provides luxurious party bus and limo services for various party occasions. We cover Phoenix, Scottsdale and surrounding areas in Arizona. Click here to know more about out party bus services. Copyright © 2017 By 4 Partybus Limo Service. All Rights Reserved.